It was as if the High-Level Dialogue on Health in the post-2015 Development Agenda was convened in Botswana to make a point—a country, which uses diamonds for development. Through consistent economic policies, the country has developed its mining sector, which has generated the fiscal space for investments in public services, including health—a perfect example of inter-sectoral action, health in all policies, the linkage between health and development, policy approaches at the heart of post-2015 discussions, and missing from the MDG framework. The dialogue concluded with a remarkable convergence for a group of leaders who represented different interests and priorities. A common recognition of the strengths and values of the current MDGs, their weaknesses, the principles and criteria on which the post-2015 goals have to be framed was auspicious which inspired confidence in the steps ahead. Health MDGs have performed remarkably well. They transformed political agendas and commitment, took health to levels higher than health ministries, forged inter-sectoral action and acted as consensus-building tools. They provided a platform for government-development agency-civil society partnerships, around a set of time-bound and outcome-based targets, with domestic policy consistency, fiscal inputs and steady aid flows, as outcomes. Often the MDGs also served as instruments for debt relief in poor countries. Their leverage was unprecedented. These strengths co-existed with several weaknesses, including their siloed top-down technocratic approach and a long list of exclusions, in particular non-communicable diseases. The Health MDGs also lent themselves to criticism because of their inattention to broader determinants of health, health’s ideological rights-based underpinnings and the life-course approach. Their lack of attention to health systems and insufficient linkages of health with development have also been recognized. Efforts to landscape the post-2015 agenda, therefore, needs to begin by addressing these weaknesses. Equally important is the changing context. The post-Cold War optimism and G8 fiscal space, a milieu in which the MDGs were born are a stark contrast to the austerity and recession, which mark the post-financial crisis world in which the post-2015 goals are being crafted. Also, the MDGs were developed for the aid system, but the post-2015 goals are meant to be owned by governments, which denote how the onus of responsibility in development is swinging from donors to domestics, a shift already evident in the language of the Paris Declaration on Aid Effectiveness versus the Busan Partnership for Effective Development Cooperation. Moreover, development thinking has moved in the last decade from linear to complex, from diseases to systems, from heath to inter-sectoral, and from one ministry to the whole of government approach. Today an appetite has been created for democracy and accountability in the aftermath of the financial crisis—ideologies and the future of multilateralism are up for a rethink, as a result. Societal political awareness has become infectious after the Arab spring, intensified by inter-connectivity and pervasiveness of social media use in the youth. Technological tools such as cell phones and unconventional channels of communication such as soap operas are becoming game changers in development. Global discussions are veering from the future of people to the future of planet. The forces shaping the future are important to take stock of, or we risk making assumptions that may not be valid in the future. Despite the changing context, some things are already certain in terms of what needs to be packaged into the post-2015 agenda with equity emerging as one of the strongest shapers. “Hardwiring equity”—as one participant coined at the meeting—would mean a focus on data disaggregation and specific targets to close the gap. Also there is an increasing emphasis that the MDGs should, as such, be prioritized and modified around an MDG+ scope with the inclusion of NCDs and possibly other targets. Despite their weaknesses the MGDs have had unprecedented success and step-back from them should not be an option. The narrative around the current MDGs, it has been reiterated, should not be one that spells unfinished business, which signifies failure but cast around accelerating progress in the 1000 days that remain until 2015 and thereafter. New goals and targets would have to be based on certain principles and criteria of which a number seem non-negotiable: goals need to be measurable, time bound and outcome-based. They need to be specific and unequivocal and must lead to logical action. Although they have to be universal and relevant to all, they must be focused on the marginalized. Goals must have the ability to marshal resources and their measurement should characterize accountability. Moreover, they must pass the 30-second test of making sense to a decision maker within the time. Despite this clarity, negotiations will entail a tough balancing act as new goals have to be aspirational yet pragmatic, universally accepted yet adaptive to specific circumstances with tradeoffs between country specificity and cross country comparability. Current goal level discussions have narrowed down to some specific goals with maximizing healthy lives at all stages of life as an overarching health goal, and wellbeing for all people as the vision. Universal Health Coverage (UHC), a set of MDG like goals, and a goal around NCDs, are candidate goals. Earlier Healthy Life Expectancy was proposed as a goal on the grounds that it encompasses both healthcare as well as the broader determinants of health; however there are measurement and communication issues around the HLE goal; it is also slow to change and changes cannot directly be attributed to specific interventions in the health sector. Various iterations of the ‘more MDG like goal’ read as: “ending preventive child and maternal deaths”, “reduce child stunting” “universal access to sexual and reproductive health”, “zero TB deaths”. The rising burden of NCDs merits a goal in its own right based on the 25 by 25 World Health Assembly Resolution. The only risk with UHC is that it can get narrowly interpreted in healthcare terms. Other than that, it is the only idea, which can pull all the six health systems domain threads to strengthen the fabric of health’s institutional architecture. It can enable greater accountability of decision makers to their constituencies and further domestic processes by providing a frame for the construct of social policy. UHC can also provide an entry point to strengthen institutions and overall governance, which were missing elements in the MDGs era. It can also act as an instrument to overcome some of the ideological weaknesses, unearthed by the global financial crisis and help build an enabling environment, which is critical to developing systems of social sector delivery. Moreover, UHC can provide the raison d’être for intersectoral collaboration both domestically and internationally. Under this all the existing and NCD targets can be packaged. With dimensions of service access and financial access inherent to its construct it encompasses coverage, quality and financial risk protection. Moreover universal health coverage will be an easy sell at the country political decision making level. However, UHC must be framed with equitable access as its core. Secondly, embedding of health targets in goals other than health in addition to a standalone goal on health would be most productive in terms of creating inter-sectoral linkages and deepening the interface of health and development, which the MDGs have long been criticized for having neglected. Inclusion of a target on particulate indoor air pollution in the environment goal, the number of girls dropping out of secondary school due to pregnancy in the educational goal, and a catastrophic health expenditure-related target in the poverty goal, are examples. Health goals have been the most rewarding of all the MDG sectors, and some countries have made impressive gains. This has largely been the case as the MDGs presented unambiguous solutions, were measurable and often gave a dose response, immediate effect and permanent solutions. The post-2015 era will not be as straightforward as it is likely to focus on changing complex systems’ behavior, for which long term investments in systems would be crucial. We will have to part with the project mentality of donors and policy vacillation of governments before success can be framed as an expectation. The High Level Dialogue on Health in the Post 2015 Development Agenda was hosted by the governments of Botswana and Sweden in collaboration with WHO and UNICEF on March 4-6 in Botswana. The convening culminated the six month long global thematic consultation on health in the post-2015 development agenda. 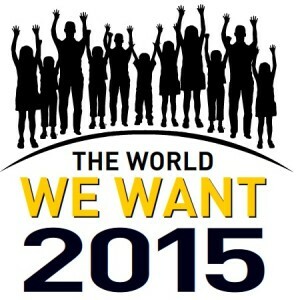 2015 is a signpost when the Millennium Development Goals (MDGs), the world’s biggest promise, to date, will come to term. The UN is exploring what the follow-up global pledge should be through 11 thematic consultations, one of them focused on health. Other areas include inequalities, governance, environmental sustainability, population dynamics, water, growth and development, conflict and fragility, food security and nutrition, education and energy. Sania Nishtar was one of the 47 delegates invited to the High Level Dialogue on Health. All aspects of the diamond trade, including mining, cutting and polishing are managed in the country. There are sound government policies, strong political leadership, political will and a sound long term development plan. These have ensured quality public services such as education and health care to its people. Anti corruption laws are not only in place but are implemented and there is civil engagement which have forced representatives to be accountable and transparent. Accountability of how the country’s wealth is being spent and distributed. All the above is the very base of economic and social success and we have much to learn from them.